Pick up a side chair that combines softness and style like never before � the Constance Side Chair. Ideal in any office or home, the side chair includes a deluxe leatherette over foam seat and back for amazing comfort. Also, the side chair includes brushed stainless steel legs to further enhance the chair's look and feel. 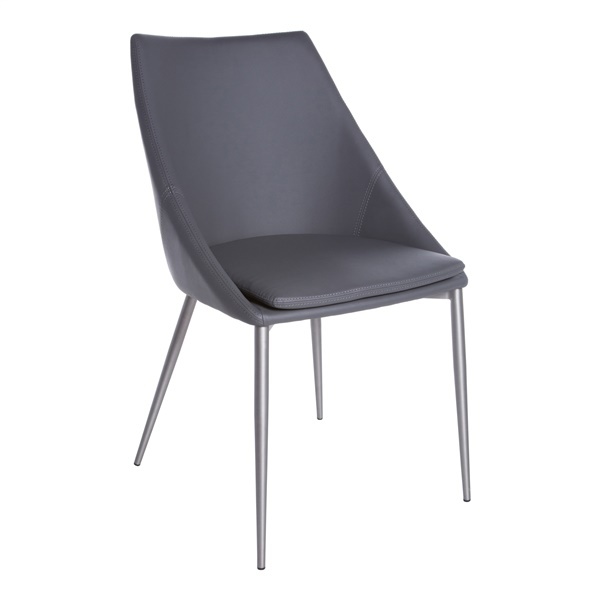 Choose a side chair that is both practical and sophisticated � the Constance Side Chair. Includes a leatherette over foam seat and back that blend style and durability like never before. Features brushed stainless steel legs that are both practical and awe-inspiring. Designed for any home or office setting. Offers a chic design to match the d�cor in any contemporary or retro space.